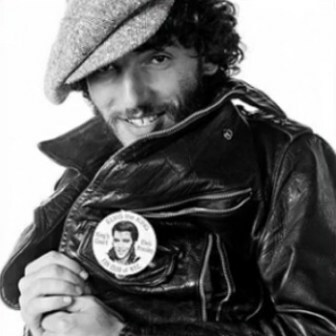 ‘Heartbreak Hotel’ was performed with plenty of ‘slapback’ and echo, it was premiered with the E Street Band at the Roxy, Los Angeles, 7 July 1978, although a vocal shared with Robert Gordon at the Student Centre, New York City, on 2 December 1977 was Bruce’s first known public performance.’ Frequently re-appearing during the 1978-79 shows, it was last played in June 1982 with Cats at the Pony. 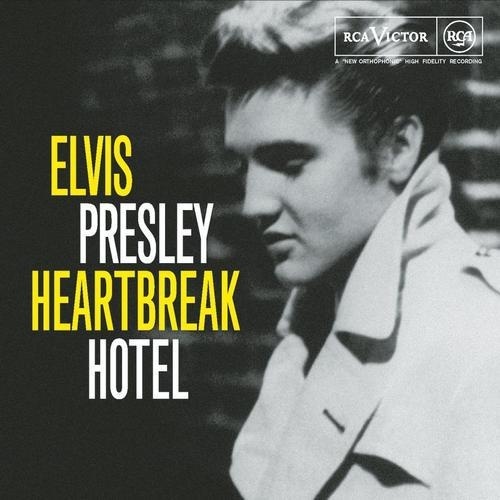 "Heartbreak Hotel" is a song recorded by Elvis Presley. It was released as a single on January 27, 1956, It was written by Tommy Durden and Mae Boren Axton. A newspaper article about the suicide of a lonely man who jumped from a hotel window inspired the lyrics. 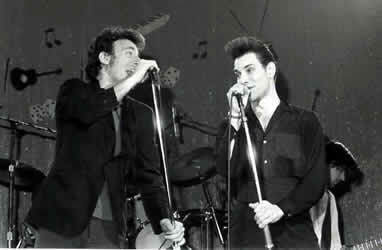 Axton presented the song to Presley in November 1955 at a country music convention in Nashville. Presley agreed to record it, and did so on January 10, 1956, in a session with his band, The Blue Moon Boys, the guitarist Chet Atkins, and the pianist Floyd Cramer. Presley had first performed "Heartbreak Hotel" during a live show in December 1955 during a tour of the Louisiana Hayride, but the song gained strong popularity after his appearance on Stage Show in March 1956. It became a staple of Presley's repertoire in live appearances, last performed by him on May 29, 1977, at the Civic Center in Baltimore, Maryland. Tommy Durden and Mae Boren Axton asked Glenn Reeves to help with the song, but after hearing the title he remarked that it was "the silliest thing I've ever heard", and left them to finish it themselves.The song was written within an hour, and Durden recorded it onto Axton's tape recorder. Reeves returned, and after hearing the song he was asked to provide a voice demo for Axton in the style of Elvis Presley. Reeves obliged, but once again turned down the offer of a writing credit for his input. Axton met Elvis at a July 28 concert in Jacksonville, this time interviewing him for the local media. Rumors had been circulating in the press for several weeks that Presley, who had begun his career at Sun Records, was ready to move to RCA Victor to help launch him nationally. Axton played the demo to him in his room at the Andrew Jackson Hotel on November 10, 1955. Upon hearing the demo, Presley exclaimed "Hot dog, Mae, play that again! ", and listened to it ten times, memorizing the song.After signing with RCA on November 21, 1955, Presley accepted Axton's offer of a third of the royalties if he made the song his first single on his new label. Presley performed the song for the first time in Swifton, Arkansas on December 9, 1955, and declared to the audience that it would be his first hit. 06.09.78 Chicago, Ill., intro to "Heartbreak Hotel"
"..this song...this next song is a song, we were looking for...I was looking for a title for the album for a long time....and uh....when we first started making the record, it was originally called ´The Promise´ ´cause I had this song I wrote called ´The Promise´...and that song didn´t make it on....so for a while ....I was thinking of titling it after this next song we´re gonna do but I didn´t have the guts .... this was a song, it was written by....Mae Axton, Hoyt Axton´s mother...back in....yeah, I wish my mother´d wrote this song, it´s like....it´s uh ....it´s one of my favorite songs, it´s a beautiful song, ´Heartbreak Hotel´..."
Cry away their gloom, oh!